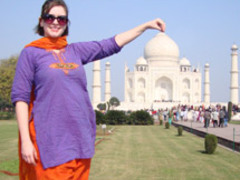 Apply for a life changing experience by volunteering in India. You will get to integrate into local society, sample the tasty food, experience the vibrant culture and also make a difference. There are summer and year round programs available where you can help people, animals and the environment. 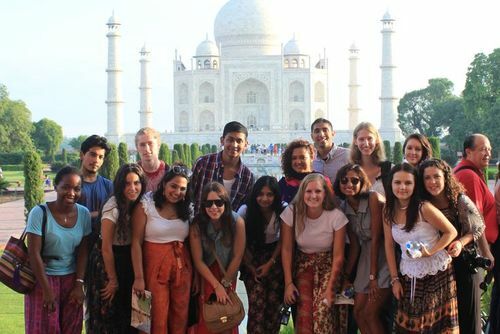 If you are looking for somewhere to volunteer abroad for a short or long stay, India is an ideal country. Programs are perfect if you want to do something more than sightseeing and would like to see more than the average tourist and truly start to understand this distinctive culture. Possibly you have watched the film Slumdog Millionaire or seen the tourism campaign 'Incredible India' - this destination will not disappoint and through volunteering you will get a fulfilling experience like no other. You will gain a cultural immersion like no other. India is one of the most densely populated countries in the world with 1.3 billion inhabitants, many of which live in poverty. Working in India and helping people is a highly rewarding experience and there are also lots of cultural and sightseing activities you will get to do in your spare time. You could soak up some sun in marina Beach in Chennai, see the Taj Mahal or book a house boat cruise of the Kerala lakes and dining under the stars. Where you choose really comes down to personal preference or the project you are interested in helping. You could spend time living by the spectacular coast in Goa or could join a project in the Himalaya's and help remote communities. This is a great opportunity to live in a spectacular setting which is unique and doesn't compare to many places in the world. Its best to research all projects before applying and check destinations to see if they are right for you. Looking for a trip with a difference? 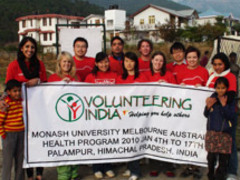 Join an adventure trip to the Himalaya's and volunteer. There are summer trips, charity challenges and volunteer tours where you can help communities and wildlife. These types of trips are unique as they combine volunteering and trekking, you will need to be in good shape to participate. You will get to see spectacular views whilst challenging yourself to get off the beaten track. Volunteer on conservation projects with and make an effort to help animals have future in the Himalayas, you can help exotic wildlife who are having their habitats destroyed. 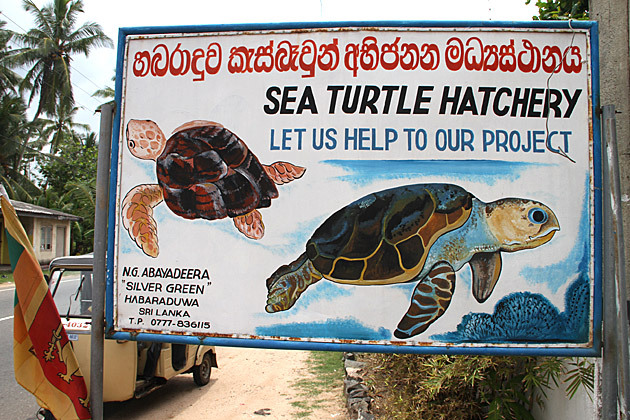 You can also join environmental programs where you can learn more about biodiversity. You can apply for charity volunteer placements in India, some charities recruit skilled professionals who are able to bring real benefit to local people and communities. By volunteering in India with a charity you will be able to put your skills and energy to good use and really make a difference. India is thriving economically but poverty is a real problem and you can join community development projects with the aim of improving living conditions and infrastructure for local people. Participants are needed at community projects in places like Delhi and Bangalore. You'll be able to work and help improve living standards, education and healthcare. Daily general volunteer activities can include playing creative games like coaching sports and generally helping. We list local charities and NGO's who bring relief to those less well off, these are really tiring placements which can be very emotional but also amazing, the work you will do will be greatly received and you can make a difference. 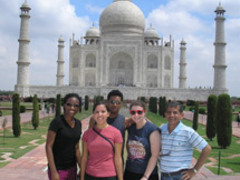 There are lots of programs where you can work to help the environment and wildlife in India. 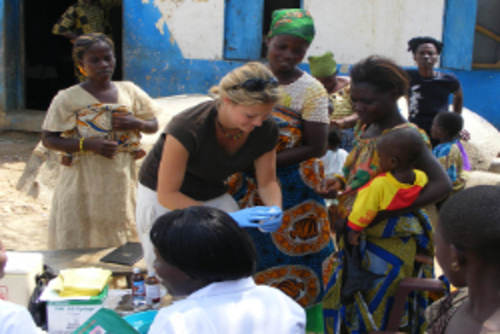 If you would like to help people then medical and healthcare programs will appeal to you. India has an aging population and an increasing number of hospital cases relating to lifestyle as opposed to disease has meant a large increase in funding in recent years for hospitals in India. Teach slum and street children in inner-city areas. Use your skills and creativity to improve education and help children to escape poverty. In various locations social and economic pressures force children out of mainstream education, making the work of privately-run community schools and learning centres invaluable. Positions include help local teacher, giving lessons, creating fun games whilst giving youngsters attention. Schools are often underfunded and lack resources. 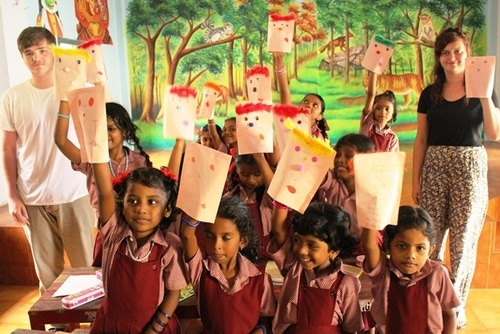 You could teach English in India and help with activities in the classroom and to improve levels of spoken English. Some might be big classes or give one on one lessons to help improve learning. Girls in India are often treated second behind boys. Sometimes familes put all their emphasis on the boys education and future at the expense of girls. When girls are habitually absent from school, volunteers make individual visits to parents, encouraging them to send their daughters back. 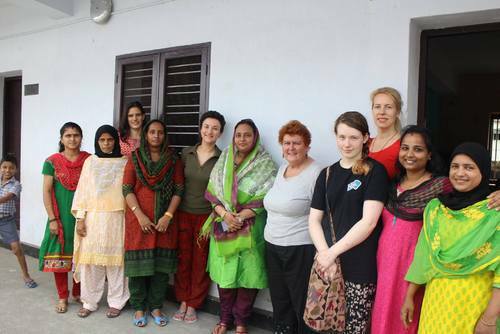 Volunteers organize special workshops for adolescent girls and adult women, teaching conversational English, a vital asset to their educational and professional prospects. Gradually but steadily, volunteers help to redress gender inequality by empowering one young girl or adult women at a time with education, skills, and self-confidence. If you are already in a skilled career for example a doctor, nurse, physio / occupational therapist then you can make a real difference to the lives of people less fortunate in India. You could help at an outreach program, hospital, community centre or working with people affected by HIV / Aids. In India's capital - Delhi there are various clinical projects available. You will work alongside nurses and doctors, observe specialist surgery and learn more about the world of medicine in Asia! This is the perfect opportunity for anyone considering a career in medicine. Participants are placed in a hospital chain that has been working for many years to provide an outstanding quality of medical services. With hospitals specialising in cardiology, obstetrics and gynaecology, these medical professionals are committed to providing world-class treatment and service for their patients at affordable prices. The dedication of the staff, modern facilities and friendly atmosphere make India a fantastic place to learn more about medicine and what it's like to work in a hospital. Prorgams are ideal for medical students as they will be given the opportunity to accompany doctors on their rounds, observing both everyday and specialist procedures and surgery. Part-qualified and student nurses taking part can pursue research into tropical diseases that are rarely experienced first-hand in the UK. This experience can really add depth to your CV. 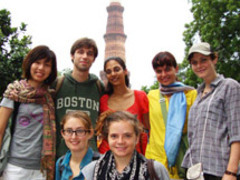 Interns will learn all about healthcare in India and the conditions and culture of its people, so you'll return home with extra dimensions to your medical knowledge and experience. By taking a medical internship you can really demonstrate your passion for medicine! I was involved in two separate community projects over a period of several months. 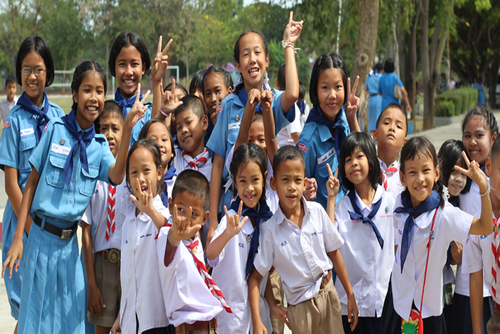 My own experiences will differ from other people's, but there are various aims which many volunteer projects share.The focus of many is teaching English, for example. This may be at the most basic of levels, or helping those who already have a fundamental grasp of the language to expand their vocabulary. Below, I have summarised several of my experiences. Hopefully, this will help to give an idea of the sort of work being done in some of these communities. The role and treatment of women in modern day India has become a major point of discussion in recent months. In this rapidly developing nation it is still the case that some girls - especially those from poorer backgrounds - are not encouraged to pursue their education past adolescence, if they have been lucky enough to recieve any schooling at all. It is for this reason that I think so-called "Women's Empowerment" projects are a fantastic idea, and a really interesting and worthwhile thing to get involved in. I took part in one of these projects, the aim of which was to help educate young women in a nearby slum. Numerical skills were something that we focused on in particular, with the intention of helping the women keep track of their expenses. All of the young women we met were married, but their husbands were frequently absent, as they would leave to seek work elsewhere. These young women, who were of a similar age to myself and many of the other volunteers, would find themselves solely responsible for the running of their households and the upbringing of their children. Other activities included helping them with their English pronunciation and vocabulary. We also organised creative projects, and all contributed to a large piece of silk painting. To apply a lot of organisations require you to be aged 18 and over and also in good health. Each program is different though and there are summer trips for 16+ year olds. Some projects accept families but age restrictions might apply. You don't need any previous skills but please research all options before applying, these placements may sound great in principle but in reality they are hard work and very draining. We highly recommend always trying to learn some of the local language no matter how difficult or confusing it might seem. By speaking a little of a foreign language, even if it just a few words or basic phrases you will be able to communicate with local people and also make your trip more easier and enjoyable. Knowing some of the local language can also help in case of an emergency when you need assistance. 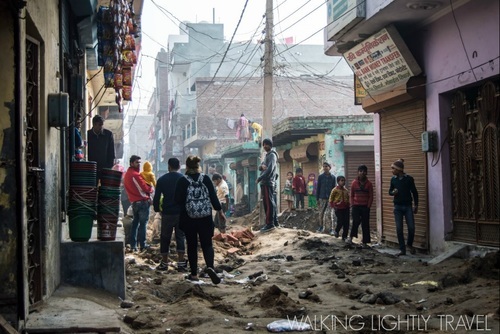 Volunteering in India will be one of the most challenging experiences of your life. Placements can be booked online through out website and you can apply today or enquire for more information. Summer and group options are popular but you can join trips every month throughout the year. You might be asked to make a donation or pay a fee which goes towards keeping these operations running. 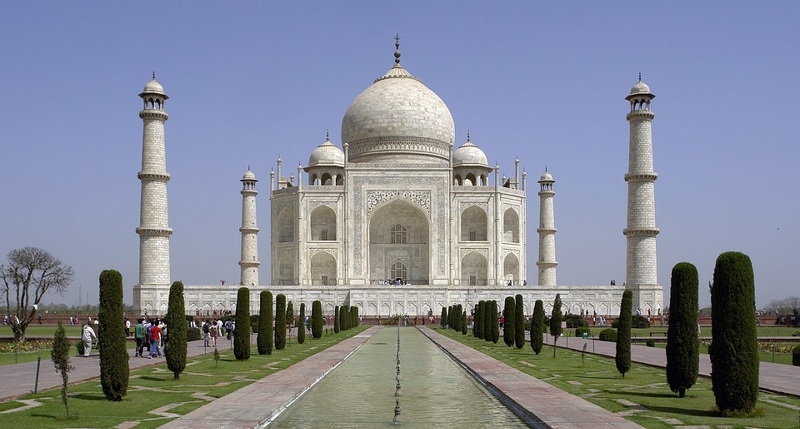 Search structured, free and low cost volunteering opportunities in India today or view our Asia volunteer programs for more options. 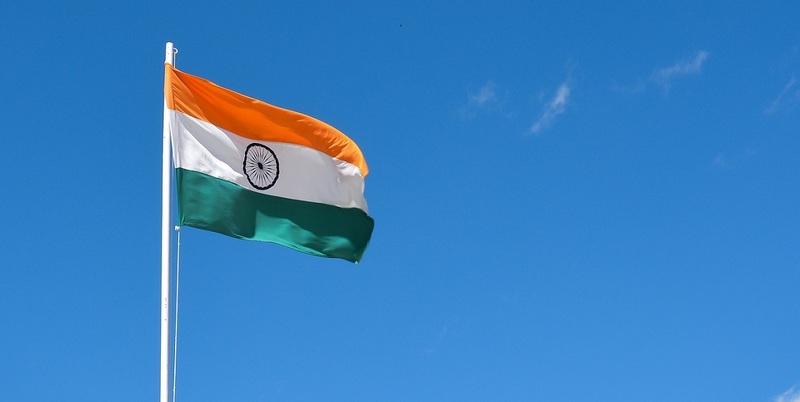 There are hundreds of free volunteer opportunities in India, but if you choose to go with an agencies this usually requires you to pay a fee which provides a structured experience and covers the cost of administration, training, accommodation, and meals. But there is also the option to go direct to local projects which can either be free, minimal cost or a lot cheaper than the normal price. You will need to be ready to be a bit more independent going this way, usually planning placements, transport and somewhere to stay. You might also still be required, or want to, pay a donation - usually local projects are run by NGO's and have little or no funding so keeping operational throughout the year is difficult. If you have ever joined a volunteering program in India and would like to write about your experience, review a company or share any recommendations please contact us.